Finally! For a while now, I’ve wondered if the Blue Jays front office would take the bold step of providing their minor leaguers with a meaningful salary increase, as it was the sort of move that was perfectly in line with the front office’s efforts to be a player-centered team. 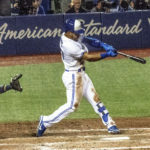 On Sunday, a report by Emily Waldon and Ken Rosenthal of The Athletic confirmed that the team would take precisely this step: every minor leaguer in the Jays system would receive a roughly 50% salary increase. The decision seemed like a no-brainer for every MLB team, as it has so many benefits (which I’ll explore in this post), but limited costs relative to a team’s annual revenue. As a Jays fan, I’m extremely happy that it was my team that took this step first. More importantly, as a human being, I’m glad that these young men will receive a salary that is a little bit more fair and better helps them make ends meet. This is the sort of topic that is best understood with context. While there are plenty of articles covering the low pay of minor leaguers and its effects on them, Waldon wrote an in-depth article about the topic on Friday. It’s an extremely illuminating read and if, after reading that post, someone remains unmoved by the plight of minor-league baseball players, then I doubt anything can change that person’s mind. Moreover, I pity that person’s lack of empathy. In the comments following posts like Waldon’s, a common point made by those who are against higher pay for minor leaguers is that they are taking a chance to become one of the best players of a game. If they succeed, they will earn more than enough money to make up for their minor league struggles. If they don’t, too bad, they can get a regular job like the rest of us. I disagree with that premise. The career minor leaguers who never make the majors are not merely “failed” baseball players. They are part of the infrastructure that helps develop prospects into major leaguers, who then go on to help baseball owners generate billions of dollars in revenue. Asking for owners to give those minor leaguers a living wage does not seem unacceptable. Moreover, from an economics perspective, the fact that the MLB effectively has a monopoly on top-tier baseball in Canada and the US means that there is no truly free market for baseball players. If demand for major leaguers is artificially capped by limits on roster size and the number of MLB teams, it is absurd to say that minor leaguers have complete control over whether or not they will earn MLB salaries. Being very, very, very good at baseball is not enough. They must be one of the 750 best players, which is an arbitrary threshold determined by the owners themselves. As such, there is plenty of economic justification for increasing MiLB pay. If the system can be designed to benefit owners, as it currently is, it can also be designed to benefit players, whether they’re minor or major leaguers. It’s unclear how much this will cost the Blue Jays overall, but something around $500,000 seems about right, given the numbers above and roster sizes, which is roughly the equivalent of the MLB minimum annual salary. This move will provide many benefits for the players, as better paid minor leaguers will be better able to make choices that aid in their development. Sleep is extremely important for physical and mental health, regardless who you are. For young professional athletes, good sleep means that your body recovers fully from the day’s exertions, which aids in physical development and lessens the risk of injury going forward. It also ensures that you are sharper during training (allowing you to learn more) and during games (allowing you to better execute the things you’ve learned). With a bit more money to spend on shelter, players can put themselves in more comfortable living situations, which should lead to better sleep. Eating right is also extremely important. While money isn’t the only factor that contributes to eating right, it is a big one, as healthy food doesn’t always come cheap. The Jays have, over the last couple years, improved the quantity, quality and taste of the food available to their minor leaguers before and after games, which has further helped their young players eat right. While the extra money won’t make any of these minor leaguers well off, it will serve to lessen their financial worries to some degree, particularly during the season. This should allow them to focus even more on their long-term development, as in-season part-time jobs become less essential. This should also help lessen the day-to-day anxiety they’ll be dealing with, which will help put them in a better head-space and further allow them to focus on baseball. The pay raise has obvious benefits for the players. Ditto for the Blue Jays. If, in theory, applying major league level resources to your entire farm system would increase the system’s production of major leaguers, any increase in resources to your minor league affiliates and players should proportionally help increase the system’s production of major leaguers. Giving each player a bit more money is one of the many ideas the Blue Jays are trying out. Moreover, this move sends a message to the baseball world that the Blue Jays are a team that cares about its players and their development. While that impression will be strongest from now until other teams replicate this move, the fact that the team moved first could be remembered by players for some time. Its tough to say how meaningful this positive impression will be, but it isn’t hard to think of ways it could manifest into real benefits for the Blue Jays, beyond those highlighted above. For example, it might make a high-schooler with a university commitment or a minor-league/international free agent slightly more likely to sign with the Jays, relative to other teams. While that last paragraph might seem weird in light of Vlad Jr.’s service-time manipulation, it’s important to judge any person or institution on the totality of their choices, not just one of their more visible choices. The fact is that the team has invested a great deal of money and energy to make their minor leaguers more comfortable, a notion echoed by Rob Fai, broadcaster of the Vancouver Canadians. This MiLB-wide salary bump is just the one choice that’s (justifiably) gotten the most attention. With regards to the front office’s motivations for the pay raise, I think that getting bogged down in that topic is a waste of time. The current climate of our society just might have led us all to forget that win-win situations are a thing. This looks like one of them. This should lead more and more teams to add more and more resources to their minor league systems. It’s an obvious place for an arms race to develop, for the next frontier of moneyball. Fortunately, it seems like one that might provide a great deal of benefits to the players, for once. This decision reflects well on having the front office led by a group of executives who have worked in virtually every position in the front office. That experience, as well as Ross Atkins’ five years as a minor league pitcher and Gil Kim’s time playing in five different countries, gives the group a tonne of perspective about the process that players go through, from the lowest levels of the minor leagues to the majors. Finally, one of the most refreshing aspects of this decision has been the humble manner with which the front office has talked about this move. “While it’s not going to be life-changing for any particular player, in total it’s a real sum of money.” -Ben Cherington, vice president of baseball operations. “It’s not something we wanted to do overly publicly because we’re not solving all of the issues with minor-league baseball. We’re not going to toot our own horn when there are significant challenges that remain. Until you get comprehensive reform regarding facilities, wellness, travel, all of those things, there are going to be significant challenges.” -Mike Murov, director of baseball operations. These quotes speak to the thoughtfulness that pervades the group of people working to lead the Blue Jays to a World Series championship. If one chooses to look past that and view these people with contempt, as countless fans do, so be it. That doesn’t change the fact that this team is run by competent people who are trying their best to win. Given the incredible progress made in developing one of the strongest systems in baseball, I feel it would be foolish to bet against them.